It’s amazing how something that feels a bit quirky today becomes the norm tomorrow, then descends into cliché the day after that. I can’t remember the last time I walked into a new gastropub that didn’t have a wooden floor, exposed brick, visible air vents and “funky” lighting. I admit that there are bigger problems in this world than the homogenisation of pub interiors of course, but are there really no renegades out there willing to hide their bricks behind a nice bit of plasterwork, or their floors under a comforting carpet? I get the feeling that there’s only one interior design firm working in the entire restaurant industry, and they’ve been churning out the same idea for the last 10 years. 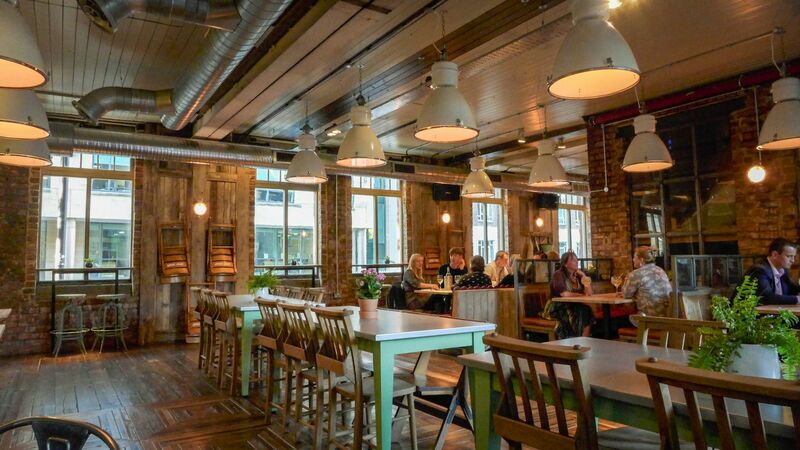 Those same designers had obviously been at work in Bealim House, which is the reboot of what used to be Fluid bar, just over the road from the Gallowgate stand at St James Park. It has been refitted in exactly the same way as everywhere else, with all the usual trappings, and then some. Truth be told, it has been done quite well, and both the downstairs bar and the upper storey restaurant areas were bathed in the natural light of a late summer evening when we visited. The credit for all this goes to the owning Vaulkhard Group, which has its headquarters in the building and which also has a large and almost bafflingly eclectic portfolio of venues in our region. I have to confess that this company, in its former guise as the Fluid Group, hasn’t been very happy with the Secret Diner in the past. I had four attempts to get a decent meal at their Barluga brand (in Newcastle and Morpeth), and the reviews of my experiences there were so bad, they gained me a bit of a cult following, together an outpouring of bile from the Twitter accounts of the restaurants' chefs. I don’t rise to threats – it’s all water off a confited duck’s back, for me. If the food is poor, I’ll say so, and it was. Hopefully it’s improved since then - this was quite a while ago and both places are thriving, so they must be doing something right. By contrast, I’ve been known to travel across Newcastle for a cup of excellent coffee at Vaulkhard’s Central Bean cafés (I miss the one in Jesmond). They also own places like Perdu and The Mushroom, advertised as “Newcastle’s premium trebles bar”, which they seem to think is a selling point. Those of us with teenage children wouldn't necessarily agree. 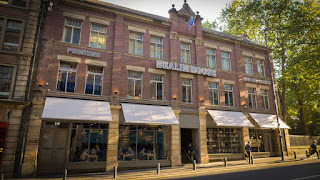 The headquarters of the group is a former print works called Bealim House. Now they’ve turned the ground floor into a new gin palace. 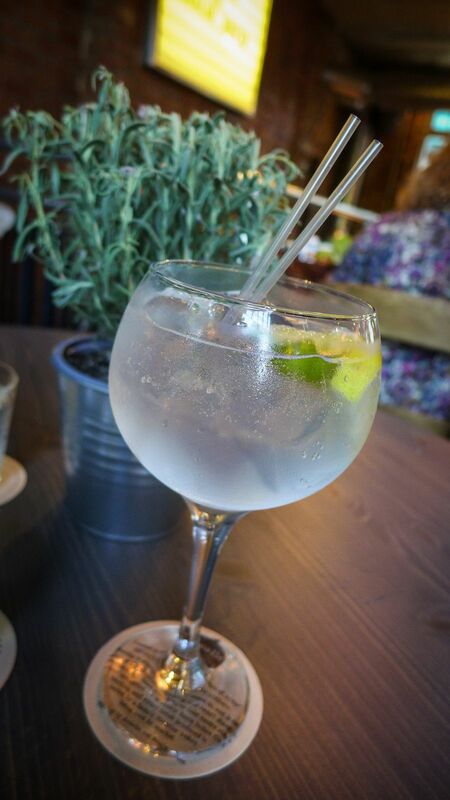 As we settled into an upstairs table with lovely views over St Andrews Church, it was clear that gin is their thing. They have a lovely shiny bit of kit in the bar which, in due course, will be employed to produce “Newcastle Gin”. The still wasn’t up and running by the time we visited, so they’re using the excellent Durham gin (and others are available, including The Lakes and Langtons of Skiddaw). I went for a Durham G&T, while Mrs Diner tries the “Nu-age”, which involves pink grapefruit. Both are served in on-trend Spanish style balloon glasses. There’s a hefty thwack of juniper bitterness to Durham’s spirit, and maybe just a touch of ginger too? I hope Newcastle Gin will be as interesting. The food menu is varied, verging on the over-busy. The list includes breakfasts, deep fried bar snacks, pub and bistro standards as well as some interesting-sounding salads. Happily the menu contains no fuss or complication: it’s solid bar bistro fare. But could they cook it? The small plates we ordered answered broadly in the affirmative. 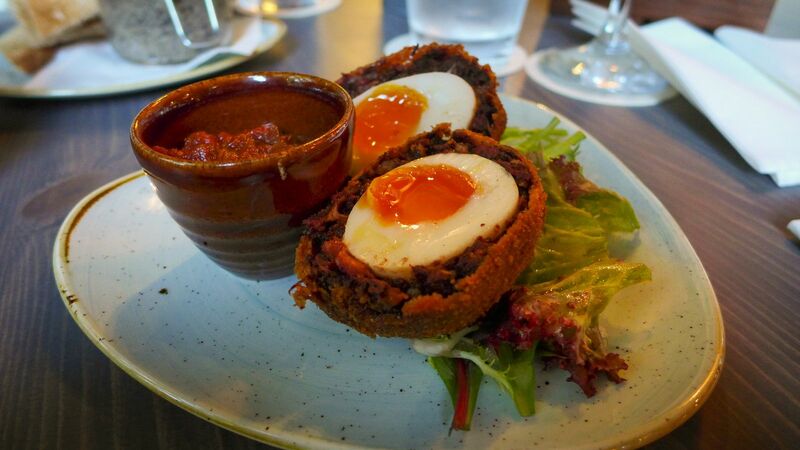 A scotch egg was a winner, with chorizo pitted against black pudding. The balance and seasoning was excellent, and the whole was crisp of crumb and soft of yolk. Not quite the Broad Chare, but, by Jove, not far off. I was impressed. 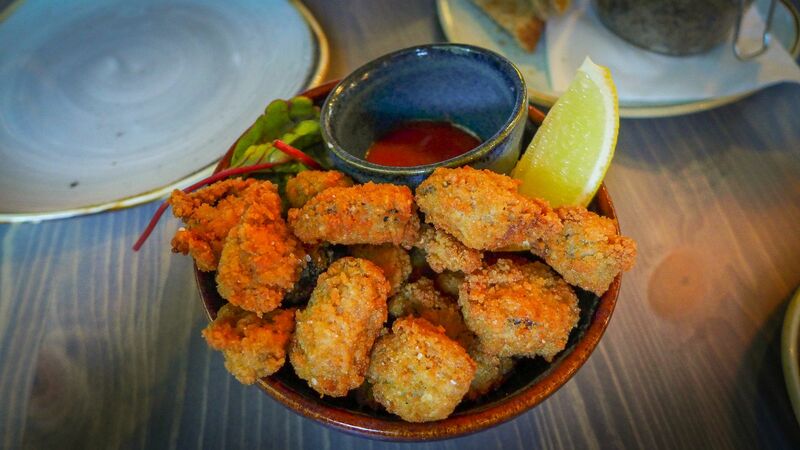 Also deep-fried were some breaded mussels which were unremarkable alone but pepped up no end by the fermented chilli thump of the accompanying sriracha sauce. 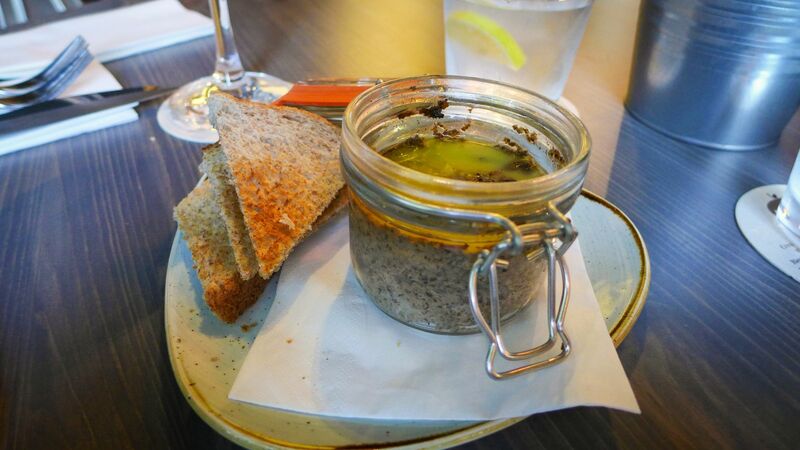 Mrs Diner and I also shared some excellent rustic-style mushroom pâté, starring portobellos and shitake. Again, the seasoning was bang-on and they showed admirable restraint with the truffle oil. The dish was rather let down by a piddly amount of bog-standard toasted sliced bread on the side. Shame. Our mains were less successful. The dish that actually drew me here, like a moth to the flame, was something described as a crab and lobster burger (£14). It’s not something you see that often, and I hoped it would be excellent. First the verdict: it needs some work. The patty is soft, the brioche bun is soft – what it needs is something crisp to contrast, a job the baby gem is attempting but not quite pulling off. 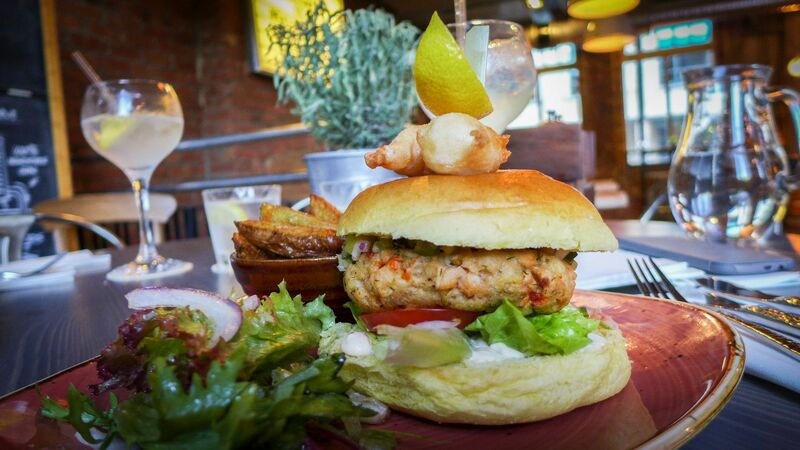 Some char on the burger would help, as would finding a way of cooking it which prevents the lobster pieces from being quite so tough. I don’t recommend this dish. Nor can I recommend Mrs Diner’s steak which, for rump, lacked flavour – and was pummelled into submission by too much of a sickly garlic butter. The chips that accompanied were decent, and well seasoned, if a little over-cooked. Not disastrous, but not worth holding the front page for (the place used to be a print works, after all). For a moment I thought our waitress had rumbled my secret reviewing game and brought me a taster of every dessert on the list to curry favour. In fact, rather than offer a menu, they bring you a frozen plank of all the available desserts to peruse. Some look better in this ossified state than others. 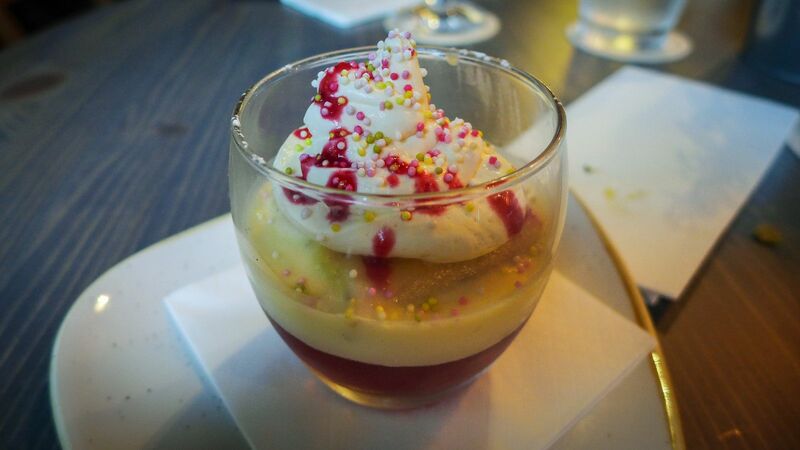 Rigor mortis hadn’t done the bubblegum cheesecake any favours, for example. I predictably wanted to order Chocolate Nemesis, but, quelled by a glare from Mrs Diner, in the end we shared a sherry trifle. It came in its own glass, topped with hundreds and thousands. Ultimate comfort food. So why am I recommending this place? It’s very early days (they’d only been open a fortnight) but there is plenty to like here, not least the service from our waitress who was well up to speed on the menu, as well as the plans for the gin still. I like the attention to detail front of house, such as attractive crockery and expensively weighty cutlery. With a little tweaking in the kitchen, and better quality steak, they could be up there with The Bridge Tavern and our other quality gastropubs. 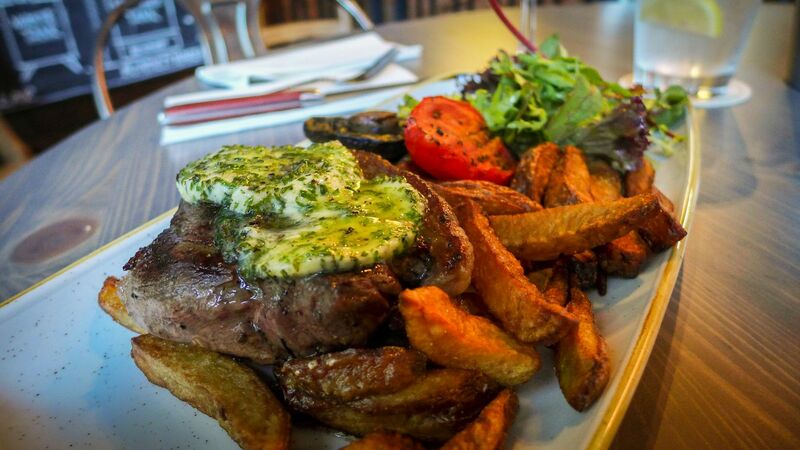 Prices, at £4/£5 for small plates and £10/15 for mains, are not unreasonable for the City centre. A short wine list, all of which is available by the glass, offers measures as small as 70 ml, perhaps with an eye on the working lunch crowd. All in all, Bealim House is a welcome addition to the Newcastle dining scene.